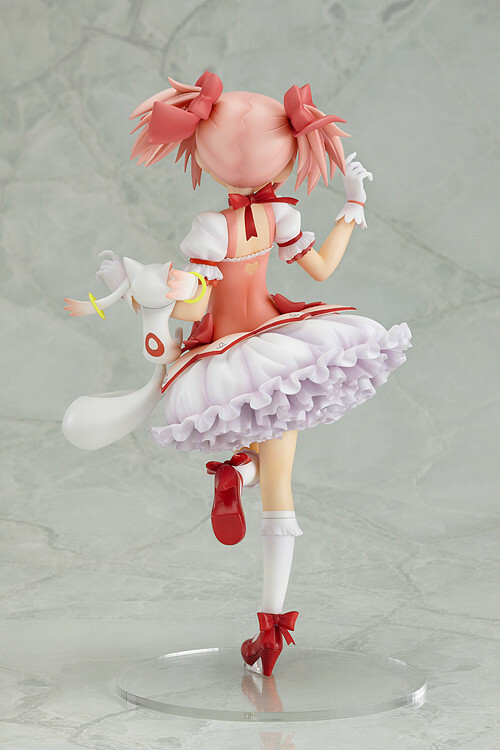 The kindhearted Puella Magi is coming back once again! 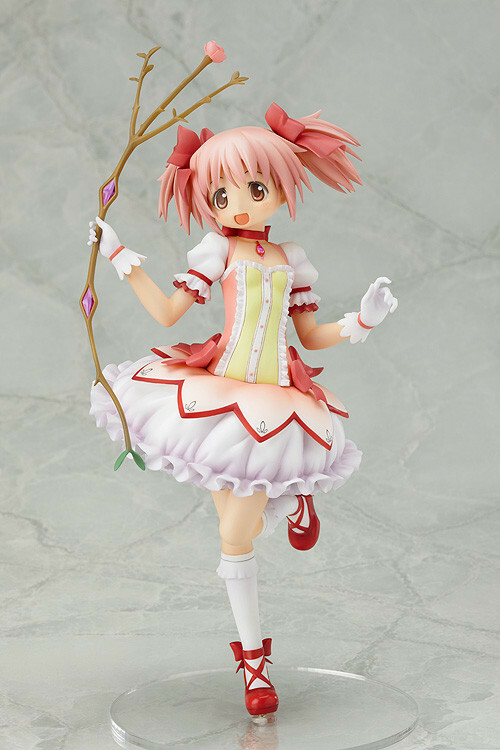 The popular 1/8th scale figure of Madoka Kaname, the main character from 'Puella Magi Madoka Magica', is being rereleased! 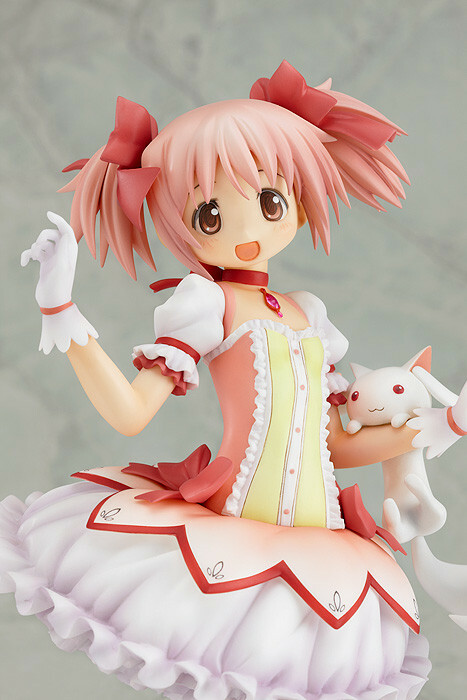 The pose is based on a famous key visual used for the series, which features Madoka in a vibrant and dynamic pose with a huge smile. 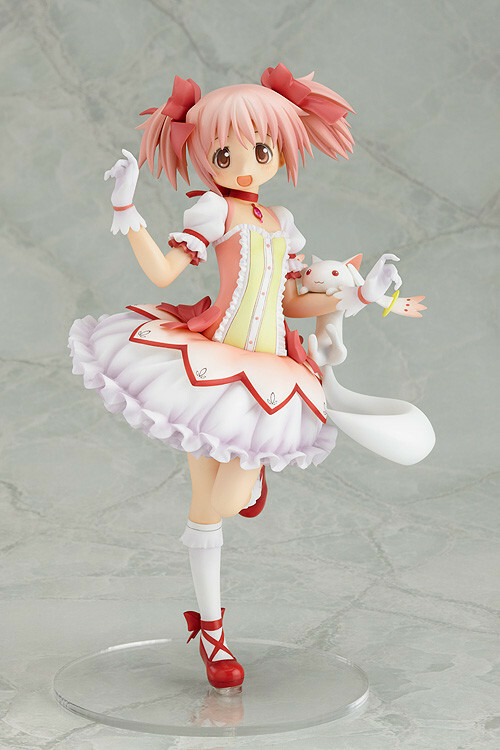 The ever cute Kyubey is also included hanging from her arm just as in the illustration - it's a complete figure set that shows off all of Madoka's charms, and is bound to please any fans of the series. 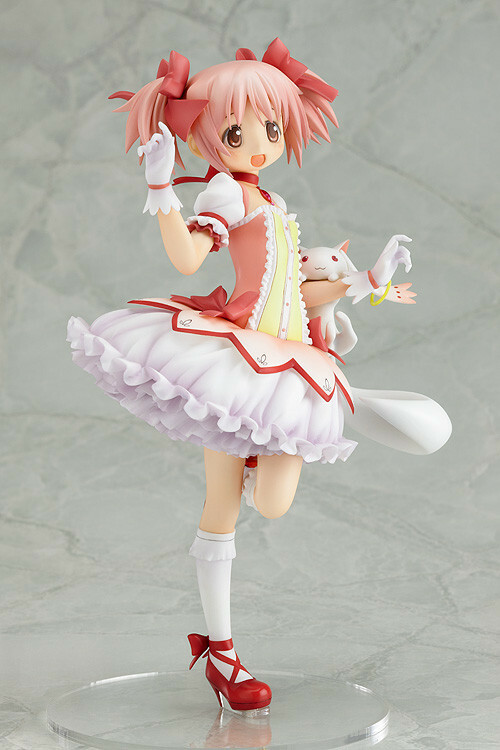 First released in January 2012 with a rerelease in October 2013.